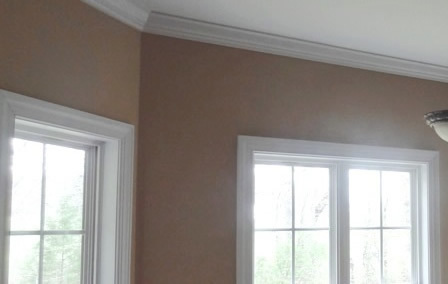 Our custom window valances are timeless and classic. Our seamstresses made the arch the same shape on the double window as the single, for a cohesive look. We spread out fabrics on site, by the bolt, so you can visualize the pattern repeat. This very unique service makes it easier than ordering from a small swatch book! 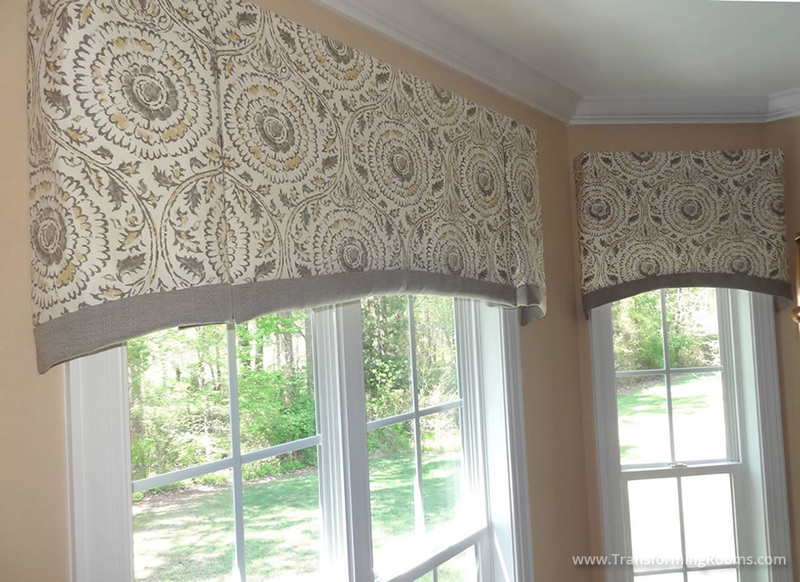 Notice how the gray linen accentuates the gray and ivory print, and draws attention to the soft curve shape of these valances.